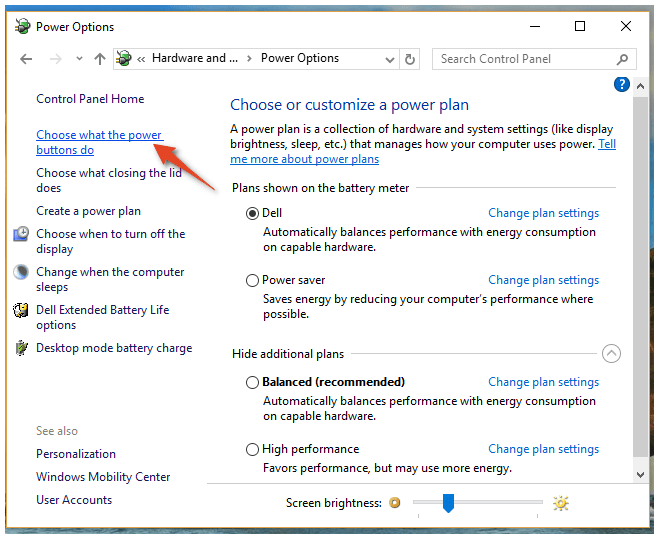 Hibernate PC saves electrical power. After hibernating, the hardware is powered down like a regular shutdown. 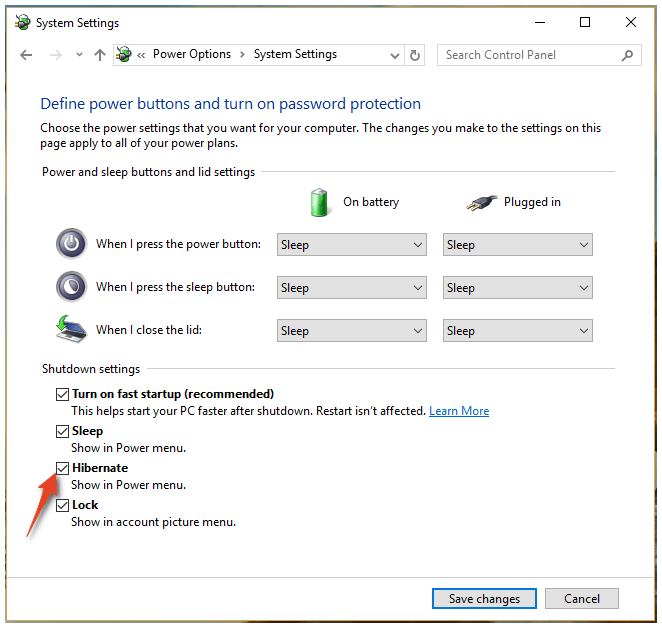 Hibernation is a means of avoiding the burden of saving unsaved data before shutting down and restoring all running programs after powering back on. 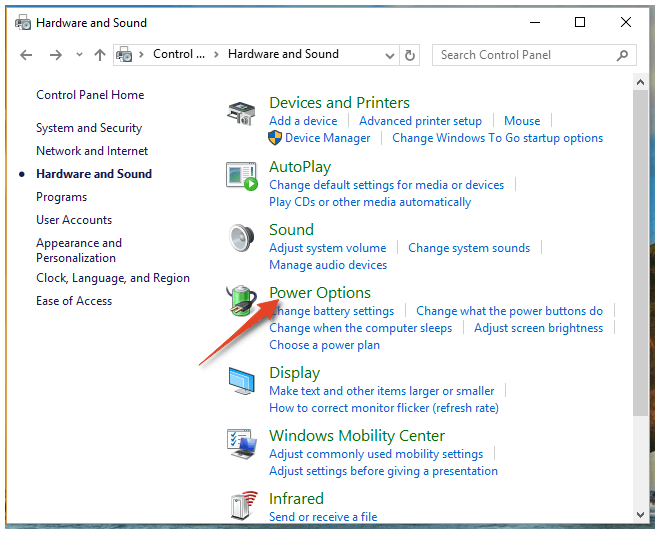 Click on Windows Start button – > And then click on Power button. It’ll show option to Hibernate. Click Hibernate. 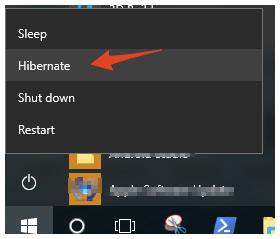 On Windows 10 Os, This Hibernate option kept hidden by default. You need to enable it to show in Power button options. 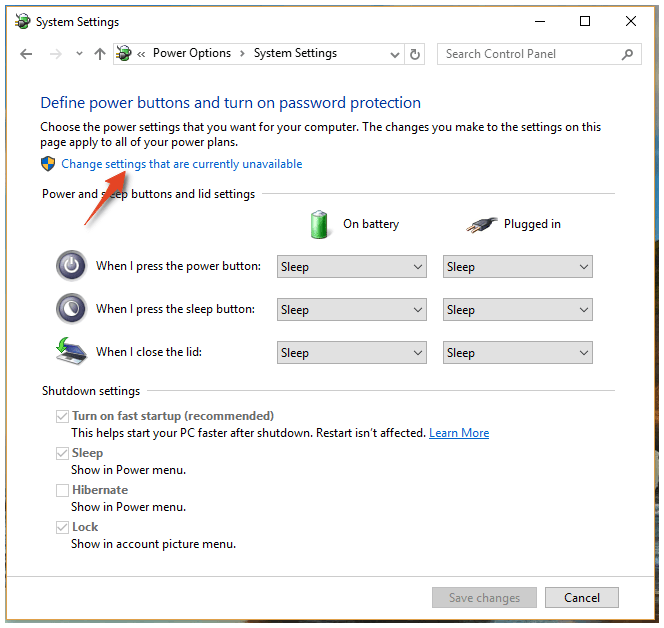 If you want to enable Hibernate option follow below steps. Step 1: Mouse Right click on Start button. You’ll see menu as shown below, Select Control panel. note: You have different options to open this Control panel. You may follow your own step to open Control panel. 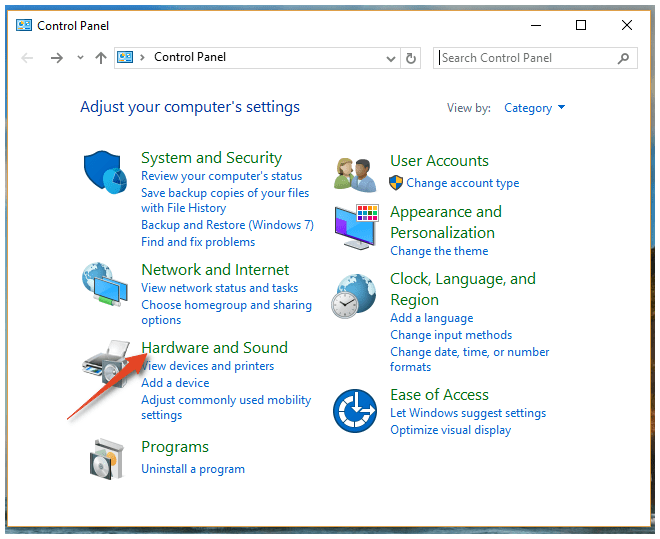 Step 4: In Power Options window, select Choose what the power buttons do. Step 6: Now those bottom check boxes are Enabled. Check Hibernate and Save changes. 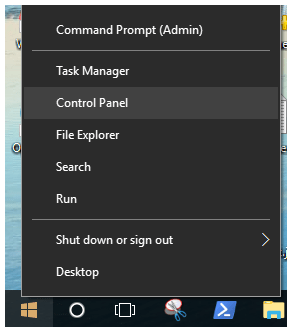 Now click on Start button -> and Power button, you’ll see Hibernate option shows there.